Are you looking for a unique gift that will have everyone talking? Do you like vintage tshirts? I was on the lookout for a funny tshirt and boy did I find some. I had a great time searching through pages and pages of cool t-shirts... it was so hard to choose just one! The shirt I chose was the Canadian Eh Team shirt. If you haven't already heard of Crazy Dog T-shirts, then you have to swing by and check them out. They have a wide selection of funny t-shirts, vintage and novelty t-shirts... and even some crazy t-shirts! I thought the Canadian t-shirt was hilarious! The shirt is very comfortable, and after washing multiple times I have not seen any fading of the shirt or design. Crazy Dog Tshirts is a great place to search for unique, even a little crazy t-shirts for everyone... including your pet! I'm sure you have someone on your list who would look cool and crazy in one of these tshirts. About: Seven years ago, Crazy Dog Owner and CSO (Cheif Snacking Officer), Bill, started Crazy Dog as an eCommerce project in the dark dorm room hallways of Ithaca College. Forgetting to take down the website, orders kept coming in, and Bill kept filling them, working out of his moms basement for a year or 2. Not long after that we started leasing space in the artsy Village Gate in our hometown of Rochester, NY; home of Genesee Beer, Garbage Plates, and a really nice water reservoir. Several years later our space is 7000 square feet of pure awesomeness; and we run the joint with a staff of 9 and love every minute of it. We have tons of original designs, and several that come from our partners such as David & Goliath and Junk Food Tees. We are the go to shop for funny tees, clever shirts and hilarious Couture. We work hard but have fun doing it. We are everything you think a company should be, and we stand by our promise to give you the quality shirts you deserve. 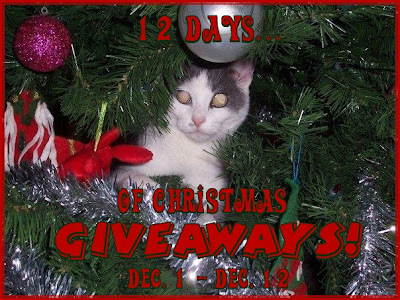 Crazy Dog Tshirts has sponsored my '12 Days of Christmas Giveaways'! One lucky person will get the opportunity to win a $25 gift certificate to Crazy Dog T-shirts! "Win a $25 gift certificate from Crazy Dog Tshirts @kimmie_1980 http://tinyurl.com/32laswb (12/19) #giveaway"
Crazy Dog Tshirts, is sponsoring my '12 Days of Christmas Giveaways' event, and offering a $25 gift certificate to one of my readers. I did not receive any compensation or incentive nor was I required to write a positive review. Individual results or experiences may vary. God I hate being the first person to comment. I follow you. The "I'd Like To Apologize in Advance For My Behavior Tonight" Onesie / Toddler Tshirt is really funny. I "Like" CrazyDog T-Shirts on Facebook!